Dry Fly Distillery has been releasing their 100% Washington Wheat whiskey for about four years now. Among other things, it is known for its trademark evocative aroma of buttery wheat grain and underlying fruity sweetness. All in all, it’s a flavorful spirit but on the lighter side of the spectrum. But, we have always been curious to see what this spirit would be like on steroids. Whether that came in the form of ABV increase, more oak influence or age, maybe even a grain change, a little more vigor and intensity never did booze wrong. 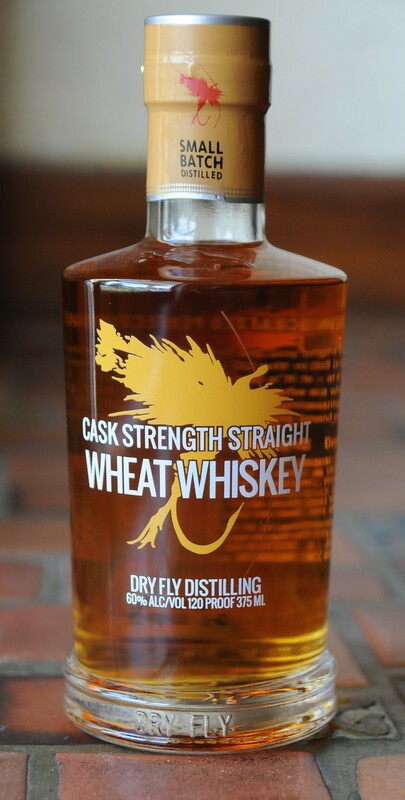 If there was ever anything you didn’t like about their Wheat offering, first off you’re strange, but we recommend you try Dry Fly Cask Strength Straight Wheat Whiskey. Let’s just say it fills the void in your heart. This is a barrel proof version of Washington Wheat at a whopping 60% ABV. Yes, you get more kick, but what you also get is a luscious, more dense flavor. Nose– Classic Dry Fly aromatic wheat with citrus and apple but now much deeper. Touch of oak. 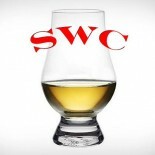 As it opens up, the aromas expand but retain a soft, warm character despite the 120 proof. With water, French bread, pineapple, floral sweetness and raisins. Taste– Big sweetness with candied toffee and heat. Water calms to a softer, creamy mouth feel. Finish– Wheat grain attack that fades quickly. Comment– A feisty one for Dry Fly wheat fans. All the categories are amped up. We recommend some water to smooth it out a bit but overall a quality pour. Fun stuff.